Children can be a wonderful part of a wedding ceremony and there are several opportunities to successfully include their participation. Remember, there are no rules that require children to participate, so only include those children willing to be included and in a role that will truly enhance the ceremony. In other words, don’t go on a mission to find a flower girl just for the sake of having a flower girl! The most obvious assignments are that of ring bearer and flower girl, but children may also be junior bridesmaids or candle lighters. There are various responsibilities associated with each role, so consideration must be taken to the age and personality of the child before assigning the position. Be very careful when utilizing children under the age of four in a wedding. They may not understand exactly what is expected of them and can become easily overwhelmed. Remember, your ceremony could very well be taking place during the child’s normal nap time, making them even more irritable and cranky. Flower girls are usually four to eight years of age and will precede the bride down the aisle, just after the maid or matron of honor. It is traditional for the flower girl to scatter flower petals on the floor to symbolically pave the way for the bride’s rosy future. Check with the church or other facility where the ceremony is being held to be sure this is permissible. Some facilities do not allow this practice for safety reasons (the petals may be slippery) or to avoid staining the carpeting. If this is the case, the flower girl will look just as adorable carrying a small basket or bouquet of flowers. It is also acceptable to have two flower girls if you have two special young ladies in your life that would enjoy the honor. Ring bearers are usually boys, but may be a girl, also aged four to eight. The ring bearer carries a small decorated pillow with imitation rings attached. He may enter with the flower girl or walk just ahead of her. Both the ring bearer and the flower girl(s) stand with the honor attendants (maid or matron of honor and best man) during the ceremony. If the children are very young and the ceremony is lengthy, make arrangements for them to be seated just to the side of the altar area or somewhere in the first few rows with a familiar adult. Junior bridesmaids are aged eight to fifteen and enter the ceremony ahead of the other bridesmaids. Their dresses may be the same as the bridesmaids, but depending on their age, may dress in a complementary, more age appropriate version of the dress style. Candle lighters should be eight years of age or older. They have the responsibility of lighting the candles for the ceremony and therefore must be able to handle the lighting instruments in a safe manner. As some decorations and candelabra are quite large, they also must be tall enough to reach the wicks with the candle lighter. Many consider this one of the most difficult jobs of the entire ceremony! Children can also be wonderful assistants in other aspects of a wedding ceremony. 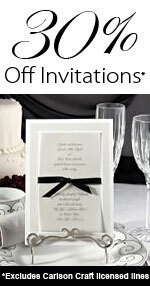 They may assist at the gift table and guest book, or hand out programs. They may pass out bubbles or flower petals to guests at the conclusion of the ceremony. They seem to take particular pleasure in this duty to help “shower” the newly married couple as they depart the ceremony.